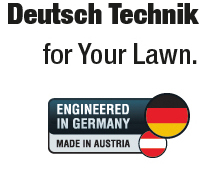 German engineering has produced this high quality cylinder hand mower which will produce a very fine finish with stripes on small lawns up to 250 square metres. The AL-KO Soft Touch 380 HM Premium is a 38cm hand-propelled cylinder mower. Its contact-free cutting system is quiet in operation, and combined with the attractive XL wheels means that the mower is easy to push and gentle on the lawn. A robust aluminium handlebar centrepiece completes the modern design, whilst the integrated quick-locks allow easy folding of the handlebar. Light and robust new deck design. The rubber bumper protects the deck from impact and scratches. The XL 5-spoke wheels complete an attractive look, and with their wide tread make the mower as gentle as possible on the lawn. The high-quality 5-blade mowing cylinder made of hardened special steel ensures a perfect cut and uniform filling of the grass catcher. Thanks to the AL-KO blade system that does not contact the lower blade, the mower is quiet and easy to push. Mowing a lawn with a cylinder mower means the grass blades are cut off as clean as if cut with a pair of scissors. The cutting technology plays an important role in this: the mowing cylinder and the lower blade do not come into contact, which means the mower is particularly gentle on the lawn. The single-axle design of the AL-KO cylinder mowers ensures extreme manoeuvrability, and comfortable compensation of uneven ground. 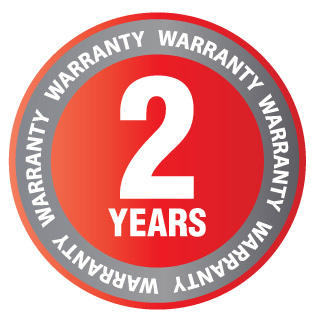 AL-KO cylinder hand mowers are backed by a two year manufacturer's warranty for domestic use.